Please note the date of this event has changed from 31 July to 28 January 2019. The box office is in the process of contacting all customers who booked for the original date. Existing tickets will be valid for the new date. For further information please contact the Box Office on 01284 758000. 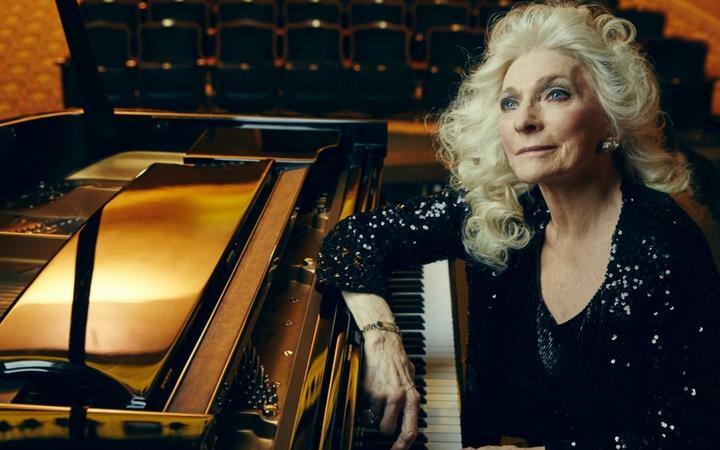 Judy Collins is an award-winning singer-songwriter. She is esteemed for her imaginative interpretations of traditional and contemporary folk standards and her own poetically poignant original compositions. Her stunning rendition of Joni Mitchell's 'Both Sides Now' from her landmark 1967 album, 'Wildflowers', has been entered into the Grammy Hall of Fame. Judy’s dreamy and sweetly intimate version of 'Send in the Clowns', a ballad written by Stephen Sondheim for the Broadway musical 'A Little Night Music', won 'Song of the Year' at the 1975 Grammy Awards. She’s garnered several top-ten hits, as well as gold and platinum-selling albums. Recently, contemporary and classic artists such as Rufus Wainwright, Shawn Colvin, Dolly Parton, Joan Baez, and Leonard Cohen honoured her legacy with the album 'Born to the Breed: A Tribute to Judy Collins'. More recently, her album 'Silver Skies Blue', with writing partner Ari Hest, was Grammy nominated for 'Best Folk Album' in 2017.